Hello I’m back again today with another card using Lawn Fawn’s Striped Backdrop Die. 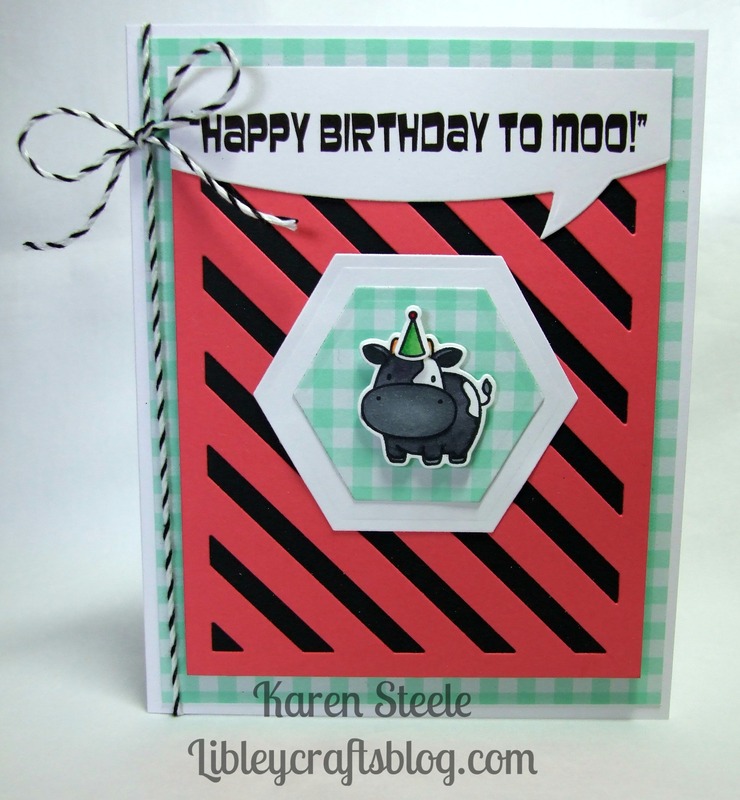 I have also used this cute little cow from Mama Elephant’s Lunar Animals – what a great set! I love punny cards so I made the sentiment on the computer and used the Speech Bubble Border Die from Lawn Fawn to cut it out. I also used Spellbinders Hexagon Dies, twine, black card stock, Lawn Fawn Cardstock and gingham cardstock from my stash as well as my Spectrum Noirs. Your cards never look ‘quick’, they always look like time and care went into each one. Fun and fab as usual! So, cute! i love that you did your own, perfect sentiment! love it~ I’m just catching up after a crazy week! All have been adorable! Love your fun and own made sentiment to go with this image. So sweet!